Designed as a state-of-the-art medical facility 2 years ago, this 19,779 sq. ft. building is now available in Plainview! 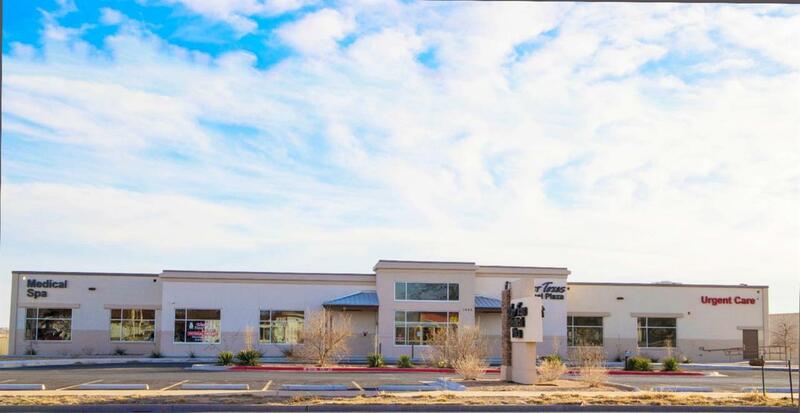 Located on one of Plainview's highest traffic areas, this location on 5th Street is ideal and highly visible. Boasting over 70 separate rooms, this property will easily accommodate several medical professionals. The trauma area, physical therapy department and Medical Spa, with its own private entry, are only a few areas of this building. Highlights also include very nice and open waiting areas, wide hallways, high ceilings, motion detected LED lighting throughout and unlimited storage. The beautiful exterior, accentuated with low maintenance landscaping, is also surrounded with 89 parking spaces for staff and visitors.